Plot: Nina is a normal 17 year old girl who enjoys normal 17 year old things, like going out and having a drink with the rest of her friends – it helps her get over problems she’s having with friends, family and anything else. Despite her mum warning her to be careful and her friends getting antsy about how often she’s out and drunk, Nina is certain that she doesn’t have a problem. Then a night out goes very wrong when she’s kicked out of a club for performing an “act” on a man then doesn’t remember the rest of the night. The rest of the book follows her downward spiral and her struggle to control it. My thoughts: I started off really not liking this book – it wasn’t what I thought it was going to be at first. Drunk teenager, lots of going out, very all over the place and lack of storyline. I complained to Ben about how I was reading a book I didn’t like at all but had to finish it. Then all of a sudden, it started making sense and I ended up enjoying the experience of reading it. I’m sure this isn’t exactly a spoiler to say that the book turns around when Nina is sent off to rehab. It was then that the book started appealing to me – I started to understand that the beginning of the book was supposed to be a look at her messed up life with alcoholism and reflecting that in the way it was told. Alcoholism isn’t something I’ve had direct contact with in my life – it’s only ever entered my life as jokes like calling your friend an “alcoholic” for drinking too much one night or something, so I found it really interesting as it gave me a whole new perspective on it, widening my understanding of it massively. I definitely recommend it if you struggle to understand the addiction to alcohol (which I definitely did before as I don’t like drinking). 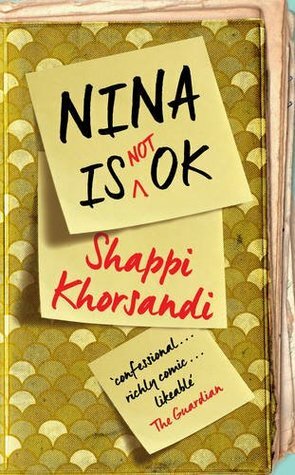 Also interesting is that Shappi Khorsandi is a British comedian – it does come across at some points in the book, but it also surprised me to see her cover such a heavy topic so well. 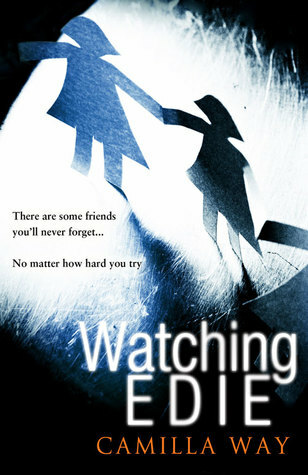 Plot: There are some friends you’ll never forget…no matter how hard you try. Edie and Heather were friends at school – Heather, the outcast; Edie, the cool outsider who takes her under her wing. Now Edie’s grown up, pregnant and living alone, and she knows that someone is watching her. And so Heather comes back into her life when she needs someone most. But is it all as innocent as it seems? What I thought: From the description, I was hoping this would be a bit more of a clear cut “one person did something wrong and now someone wants revenge” kind of thing, but actually it was a bit different to what I was expecting. It wasn’t bad – it was a bit drawn out for my liking, in places a bit slow with a couple of seemingly unnecessary dragging plot points, but the story itself was good and the moral it drew of confusing victim/bully roles. It wasn’t an entirely satisfying book for me as it wasn’t what I was expecting, but nevertheless, still a good read. Plot: A young woman works in two different, but slightly related, jobs in a small town: reading palms, and something quite seedier…also involving hands. When a woman comes in who needs her “psychic” help, she’s only too happy to oblige for the money. But as it turns out, the problem may be more real than she imagines it to be, or is it? 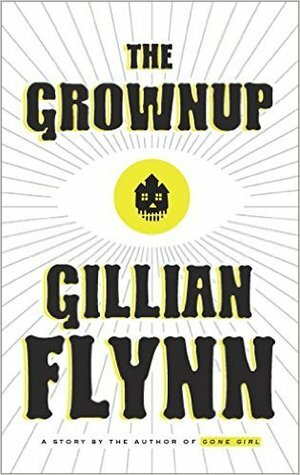 What I thought: I nearly fell off my chair when I realised that Gillian Flynn had written something else I hadn’t written – yes, I’m a Gone Girl addict! It turns out that this is a short story of sorts (at only 64 pages). It’s very typical Gillian Flynn – blunt, surprising and unsurprising all in one go. It’s not a satisfying read as such – I don’t find many short stories to be so anyway – but I did enjoy it because of the typical Gillian Flynn style. Plot: When the choir leader is put out of action by a bad accident, Bridgeford’s choir is in crisis. They weren’t exactly in a good place to start with, but with no one to hold them together, they’re all over the place. On a drive to get new people so they can compete (and hopefully win) in a choir competition, they drag new, and mostly unwilling, new members to participate. And these new people bring a new light and sound to the choir, giving it back its life again. 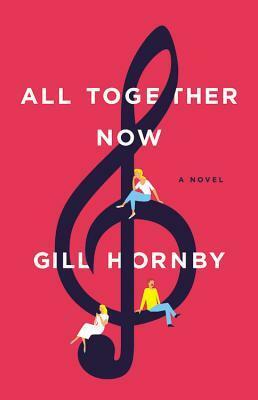 What I thought: I chose this book because it was about a choir in a small town, which sounded like my choir – Charley and I have joked several times about how the things you overhear in our choir would make brilliant dialogue for a play or novel, so I just had to read it and see if it was similar to ours. And yes, it was – I found myself laughing at parts that were so similar to our local choir! The story itself isn’t one I’d usually choose. It was a fluffy, light read that’s quite funny, very lighthearted, nothing too serious, but touches on slightly serious topics in places. It makes a good quick read when you want something easy. Plot: Rachel marries mysterious David, and with the marriage, inherits a grieving stepson and an isolated Cornish home. At first, all seems perfect as she heads off to live with her new family, but slowly her stepson Jamie becomes more withdrawn and starts to make eerily accurate predictions about things that are going to happen. Rachel has to delve into the past of her predecessor, Jamie’s mum, how she died and what might be happening now as a result of it. What I thought: When I saw another title by S. K. Tremayne, I knew I had to read it, and I’ve now noticed it topping book charts. I read Ice Twins by this author last year and really enjoyed it, and this was no different. I ended up drawing a few parallels to Rebecca as I read it, which can’t be a bad thing. The story was massively full of suspense. You were left wondering whether Rachel was going mad and everything’s in her mind, if it’s really going on, or if there’s something else, which is what an excellent psychological thriller does. It’s packed with atmosphere and really draws you in to the story and the setting. I also loved that it was set in Cornwall as Ben and I will be visiting there soon (excited!). Definitely one to read this year. I can’t give this a “Plot” and “My Thoughts” because it’s a very different style of book from my usual, more of a guide than a fiction – in fact it’s not fiction at all! One of my favourite bloggers, Amber from Forever Amber, wrote this and I just had to read it as soon as it became available. I love reading Amber’s blog because every post tells a story – her words are really personable and I find I relate to a lot of the things she says. I don’t necessarily want to become a Pro-Blogger, mostly because I love my job and I’m not willing to give it up for blogging, but I did want to know some insider blogging secrets, and I just wanted to support Amber and read what she’d written too! And I wasn’t disappointed. Not only did the book give me a vast amount of insights into her world of blogging, along with plenty of tips along the way, but it was written in the same personable style as her blog. 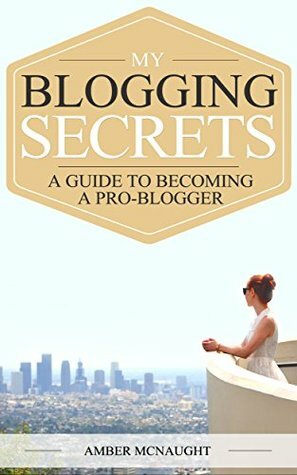 Even if you don’t want to become a pro blogger but are interested in the world of blogging and knowing more about it, I’d recommend giving this a read. And of course, if want to become a pro blogger, definitely give it a read – it will get you on your way! 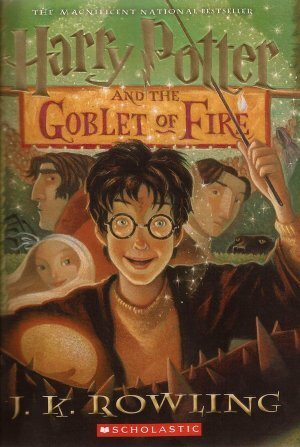 Sorry, but I’m not going to bother reviewing Harry Potter – just know that I love it! 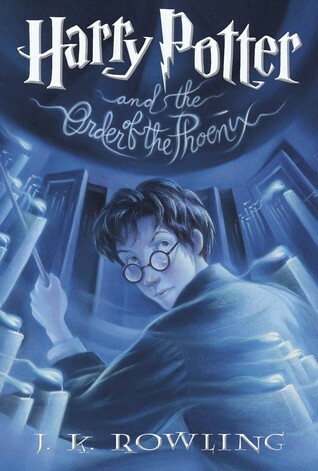 Same again – I just decided it was time for a reread! Plot: Alex loves his family, his wife and his autistic son, Sam, but he struggles to connect with him and deal with life around work, family life and learning how to cope with a son who sees the world differently to everyone else, so he moves out to live with his friend. Learning to live a new life, he tries to find a way to connect with his son, and Minecraft seems to be that way. 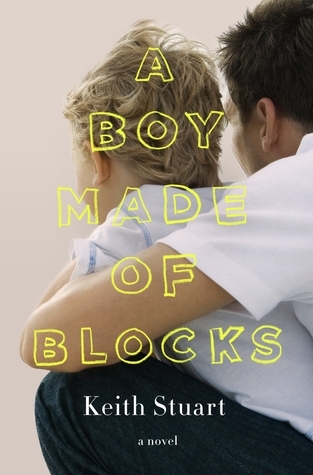 What I thought: A Boy Made of Blocks isn’t a true story but is inspired by the author’s own struggles with his own son who has autism, which made it all the more real for me. Autism isn’t a condition I’ve experienced firsthand in any family members or friends, so I don’t know a huge amount about it besides what I’ve read, so this was a big insight into it for me. It was interesting that Sam doesn’t even have severe autism either, he is on the lower end of the scale. While the story itself is quite slow going, not being one with a proper plot, but rather one of those “coming of age” stories, but in later life, it was a good read. I did find it dragging in places, hoping that we would finally get something different or big happening to change the course of the plot, but the beauty of it is that you don’t need that big thing to make the difference, and you don’t need revelatory moments or exact solutions. It was a book that tells the truth quite well – that not everything can be fixed, but new ways around can be found. Definitely one to read to gain more of an understanding of autism in an easier to understand way with a somewhat heartwarming tale alongside. * Titles marked with a star were provided for review by publishers. 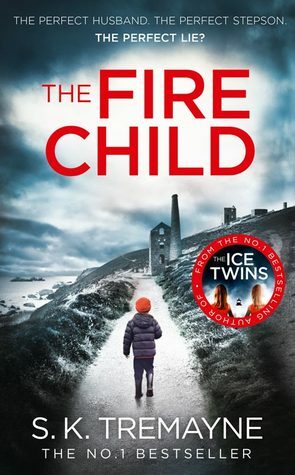 I’ve been wondering about The Fire Child, because I sort of loved The Ice Twins and was sort of frustrated by it – but you’ve persuaded me to give it a go! And I’ve just bought Amber’s book today – looking forward to getting stuck in!